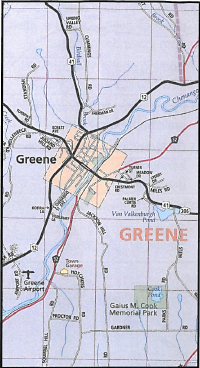 In 1961 Chenango County and the Soil and Water Conservation District worked together to create an impoundment on a parcel of land just outside the Town of Greene.The impoundment became known as Greene Pond. 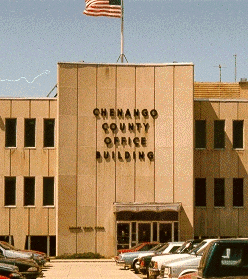 After years of leasing the property to the Greene Campers Club, Chenago County appropriated $110,000 to develop roadways,campsites, and a well. The man who was instrumental in the development of the park was Town of Pitcher Supervisor, Gaius M. Cook. Upon his death in 1970, Green Pond became known as Gaius M. Cook Memorial Park. Since then the park has been home to both seasonal and week-end campers. The goal of the park is to provide a relaxing and enjoyable atmosphere for all of our visitors. We look forward to seeing you soon. There are forty camp sites at Cook Park. Tents, campers, and RV's are welcome. Sites have: 30 or 20 amp electrical hook-ups, potable water, a fire ring and picnic table. Camping area has a bath house with hot showers, and a pavilion for campers use. A dumping station is also on premises. Fishing for large mouth bass, pickerel, bullhead, and sunfish from the shore or docks. Boating on the 18-Acre pond. Kayaks and Paddleboats for Rent - $5/hr. Picnic area with tables and grills/bathrooms/water. Pavilion with large grill that seats 50 people. Available with reservations. Cook Park is conveniently located one mile east of the Town of Greene, in southern Chenango County. From Route 206, go south on Stein Road, up the hill to Parks Road. Park entrance is 1/2 mile up on the right. For directions from your current location via Google Maps please click here.